At this year's Festival of Books, Angela Kaczowka and Dr. Ed Franklin teamed up to deliver a great teaching opportunity to graduate and undergraduate students in the department. The Department of Agricultural Education had a booth at the Science City Science of Tomorrow booth. The Festival of Book is the third largest literary event in the nation and a projected 135,000 people care to attend. 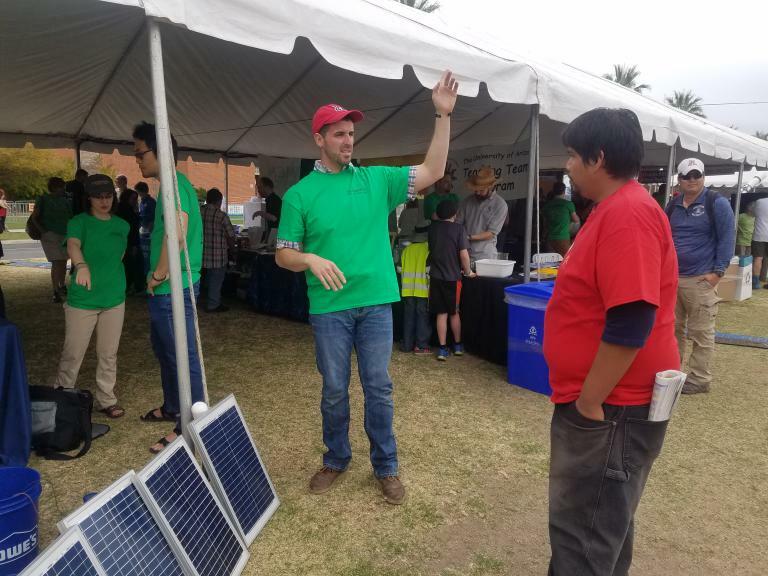 Graduate and undergraduate students educated the general public about renewable energy using a solar powered water pump. The demonstration was provided by Dr. Franklin, which he uses in his course, and Angela served as the department liason and trained all volunteers on the system.